On the heels of the Civil War, the federal government realized the need to provide care for soldiers who were disabled from injuries sustained during their service. Consequently, in 1865 the federal government established the National Asylum of Disabled Volunteer Soldiers, which created and ran homes where soldiers could live. In these homes, veterans were provided medical care, recreational activities, work, and employment opportunities, as well as food. One such home was built and opened in Marion, Indiana in 1890. Within the first eight years of opening, the Marion Branch had eleven barracks style buildings, a hospital, a headquarters building, a dining hall, a kitchen, a chapel, and a memorial hall all on the over 200 acre campus. The Marion Branch was highly populated until the first decade and a half of the twentieth century, when the number of living Civil War veterans began rapidly decreasing. But, after the close of WWI, the need again rose for homes for veterans; however, veterans of WWI needed different types of care than their Civil War counterparts. 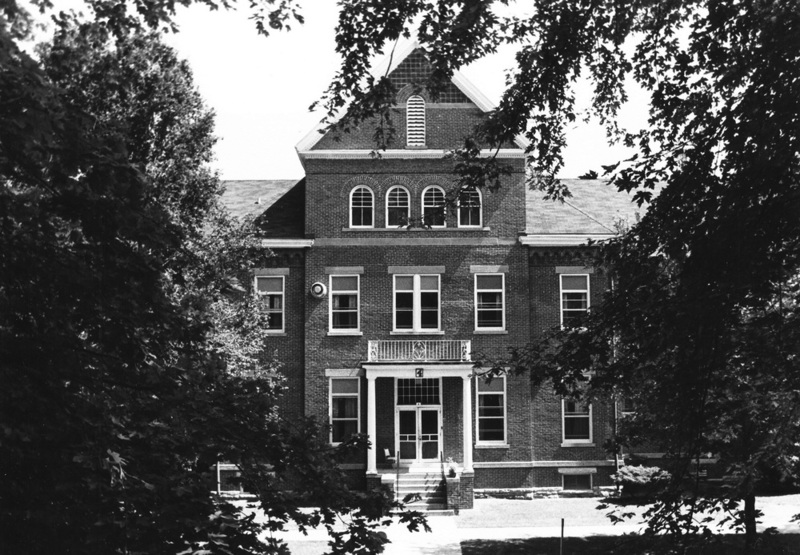 Therefore, in 1920, the Marion Branch was converted to a neuropsychiatric institution, and (a year later) its name changed to the Marion National Sanitarium. After that point, the main focus of the Marion National Sanitarium was to treat and care for “nervous and mental patients,” many of whom were veterans of the First World War. Over the next several decades, the complex continued to grow not only in patient numbers but also in the number of buildings on the campus. In 1930, the Marion Branch’s name was changed a second time to the Marion Veterans Administration Hospital. From the late 1940s onward, the Marion Veterans Administration Hospital continued to serve United States veterans. Today, it still runs under the Veterans Administration Northern Indiana Health Care System. A number of original buildings, ranging widely in function and architectural style, still stand on the campus and date anywhere from 1889 to 1996. Listed on the National Register of Historic Places as a historic district, the Marion Branch is open to the public. Visitors can walk or drive through the campus and onsite cemetery, but visits should be scheduled with the Public Affairs Officers of the facility. Visitors must check in with the police prior to entry. Indiana Division of Historic Preservation and Archaeology, “National Home for Disabled Volunteer Soldiers - Marion Branch,” Discover Indiana, accessed April 25, 2019, https://publichistory.iupui.edu/items/show/193.